Having a pet in the home is probably one of the most delightful feelings that we can get. The joy and love that they bring to our lives cannot be explained in mere words. However, if in any case your fluffy friend gets lost somehow, then the pain it causes is no less than losing a dear one. Well, you can make sure that you never witness this pain of separation with the help of advanced technology. The GPS trackers help you to locate your pet in real time. Thus, it always makes sure that your little bundle of joy never gets lost. 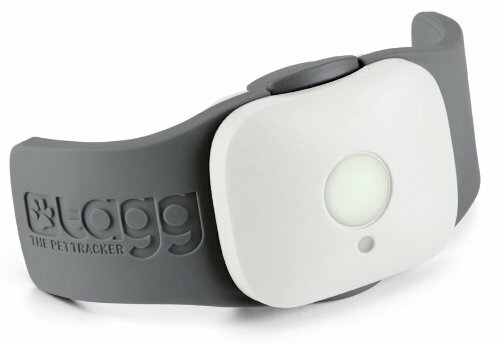 Nevertheless, there are several pet trackers available in the market from different brands. So, it can become really problematic to find the best one for your pet. But there is nothing to worry about since we have got you covered. 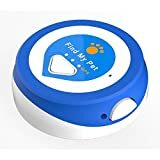 Here is a list of Top 10 best pet trackers in 2019. Choose the one that suits all your requirements and always be in touch with your furry friend. 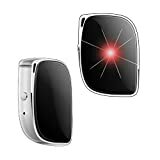 Find my Pet GPS Nano pet tracker is one of the best ones out there. It assures to provide you with accurate updates on your beloved pet. 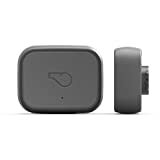 The tracker also promises to use available Wi-Fi or Bluetooth connections if it gets disconnected with the GPS. The tracker makes use of the mobile networks to send regular updates to the innovative smartphone app that it comes with. Furthermore, this device is known for its long battery life which usually lasts for 2-4 days. Above all, it is waterproof, durable apart from being light and small. So, you will never have any problem with placing it on your pet. Comes with the ability to utilize the Bluetooth, Wi-Fi and mobile networks. It has the Geofencing feature which makes it more effective. Has SOS button to immediately send the location of your pet. Very light in weight, durable and has a small size. The GPS is not so accurate. The GPS tracker from JLEKONG is really an amazing one that you must look out for. 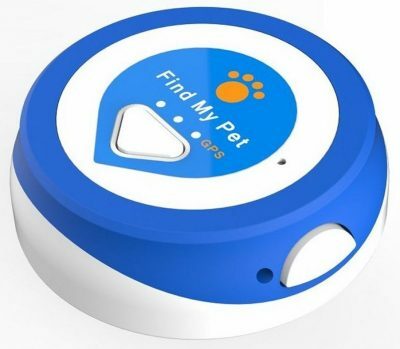 The device offers you with the accurate location of your pets in real time. It also makes use of Wi-Fi, Bluetooth, and Geofencing features to give updates on your location if it gets disconnected from the satellite. Plus, it has a waterproof level of IP67. So, you will never have to worry about the device getting wet in the rain. Above all, this pet tracker offers an unusually long battery life of 5 days. Provides accurate updates on the position of your pet. trajectory of your fluffy friend. Has a long battery life of at least 5 days. Completely waterproof with IP67 certification. The user interface of this device is complicated. 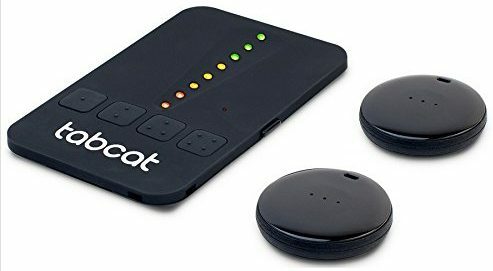 The best thing about the TabCat Pet Tracking device is that it comes with a durable protective covering. Thus, it completely ensures you about its longevity. Furthermore, the device can be attached to the pet easily. Plus, the GPS technology that this device uses is very accurate. It has a long rage of 122m and it is small in size, light in weight and comes with splash protection. Has a great range of almost 122m and the GPS positioning of this device is most accurate. It uses RF technology which further increases its efficiency. Completely lightweight as well as splash proof. 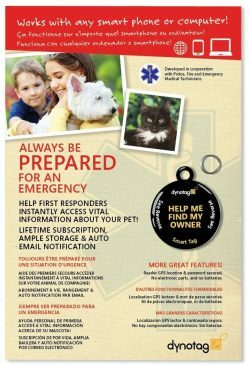 You can easily attach it to your pet due to its small size. The construction of the tabs is poor. The device offers Bluetooth 4.0 connection which enables you to sound an alarm if your pet gets separated from the location of your phone. 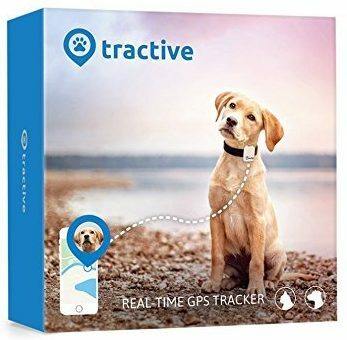 The tracking app that this pet tracker uses is very innovative and easy to use. It also has an ingenious search functionality which helps you to find the accurate location of your pet. The device comes with several functionalities apart from a remote control. The distance range can be easily adjusted. Equipped with latest technologies, it allows you to find your pets efficiently. The build quality of the device is not so good. This is one of the most convenient as well as highly efficient pet trackers available in the market. The Dynotag Web/GPS Enabled pet tracker is GPS tracking device which needs no maintenance. Furthermore, it also does not require any battery or any electronic device to work. Plus, it comes with high-durability and gold-level functionality apart from completely impacting proof as well as waterproof. The device requires no maintenance. It is highly effective and comes with gold-level functionality. The pet tracker is waterproof and impacts proof. 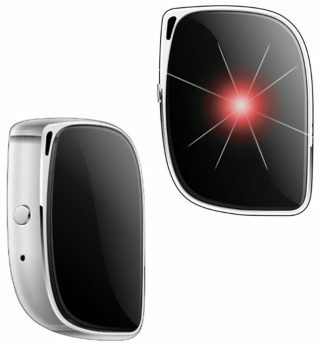 It is a highly advanced and professional tracking device with great efficiency. Made from steel and has a protective coating. Thus, it is highly durable. Some customers have complained about the QR code being too light. 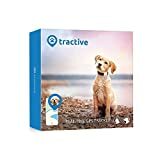 Get this lightweight and waterproof tracker to keep a check on your pet and obtain trustworthy real-time tracking of your pet’s location. The GPS technology that it uses is most reliable and provides you with most accurate results. And this smallest GPS tracker will locate not only your lost pet but also kids, cars, suitcases, keys and much more. It is the smallest GPS tracker. Light in weight and also water-resistant. 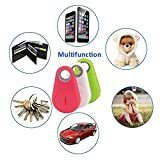 Works well on kids, suitcases, car keys, cars, pets and so on. Live positioning of your pets can be tracked. Requires T-Mobile coverage for enabling real-time tracking of location. The LINK AKC smart dog collar is amongst the finest pet trackers available in the market. It comes with the latest GPS technology which provides real-time locations of your pet accurately. Plus, it is highly comfortable, fashionable and perfect for your little bundle of joy. The best thing about this collar is that it assures you completely to find your lost pet with its advanced tracking feature. Plus, it comes with a USB port which makes it easy to charge. Being highly durable and fashionable, this collar is very comfortable to wear for your pet. It also allows you to adjust the temperature for your pet’s comfort remotely. The activity tracking feature of this collar is very difficult to use. Whistle is a well-known name amongst the pet owners for manufacturing efficient pet trackers. This one right here is an excellent one since it helps you to locate your lost pet quickly with the help of GPS technology. The best thing about this tracker is that it notifies you instantly if your pet gets out of the zone which you can easily designate from your app. Further, it also offers you the ability to receive notification through the app or as text messages if your pet gets out. It also acts as an activity tracker. And you need not worry about its longevity since it is highly-durable. Shows you the accurate location of the pet by using GPS. Offers large coverage across the nation. Allows tracking daily exercises and activity. Instantly notifies you of the app or through text message if your pet leaves the whistle zone. Highly durable and has an interactive map. Battery lasts for few hours. 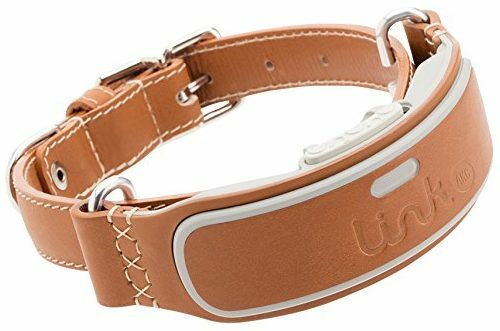 Here is another great pet tracking device from Whistle. 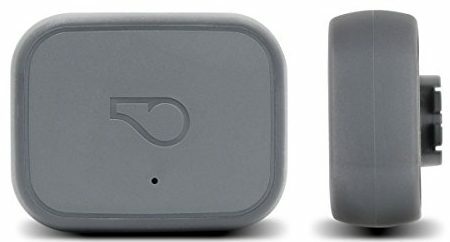 The Whistle 3 offers you much more advanced GPS tracking technology than its predecessor. Also, it instantly notifies you via email, text message as well as on the app when your pet leaves the whistle zone. The device uses the GPS as well as the AT&T cellular network to give you the location of your pet in real-time with pin-point accuracy. Moreover, it also lets you track the activities of your pet and helps you to keep them healthy. location of your pet with pin-point accuracy. Helps you to track the activities and monitor the health of your pet. The customer service for this device is not so great. 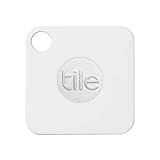 Being placed at the top of our list, Tile Mate is really the best pet tracker that you can choose. 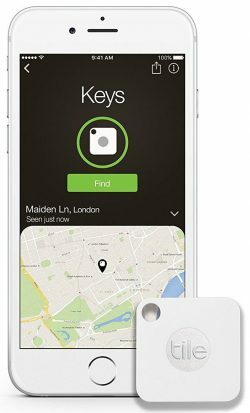 The best thing about it is that it can help you find your lost pet, phone, keys or anything with utmost accuracy. It is very easy-to-use and compatible with all smartphones including iOS 8.1 or higher devices. The GPS technology that it uses is most reliable and provides you most accurate results. It helps you to set off an alarm remotely if your pet goes away from your house. The compact design makes it very durable as well as impact proof. Does not have the geofencing capability. You need to keep your pets safe and hence, these pet trackers prove to be a great inclusion. For the sake of your pets, bring home the best per tracker.